All-HYIPs.info - актуальные предложения для инвесторов по онлайн инвестированию. 05.04.19 07:09;Account;Receive;Received Payment 2.5 USD from account U18239382 to account U1294000. Batch: 254426104. Memo: API Payment. Withdraw to allhyips from FINORION. 05.04.19 16:07;Account;Receive;Received Payment 5.00 USD from account U18239382 to account U1294000. Batch: 254500324. Memo: API Payment. Withdraw to allhyips from FINORION. The amount of 15 USD has been withdrawn from your account. Accounts: U1606***->U18239382. Memo: Shopping Cart Payment. Deposit to FINORION User Guten.. Date: 04:38 06.04.19. Batch: 254554400. 06.04.19 06:51;Account;Receive;Received Payment 24.9 USD from account U18239382 to account U1294000. Batch: 254562835. Memo: API Payment. Withdraw to allhyips from FINORION. 06.04.19 06:47;Account;Receive;Received Payment 3.00 USD from account U18239382 to account U1294000. Batch: 254562542. Memo: API Payment. Withdraw to allhyips from FINORION. 07.04.19 06:20;Account;Receive;Received Payment 20.00 USD from account U18239382 to account U1294000. Batch: 254673048. Memo: API Payment. Withdraw to allhyips from FINORION. 07.04.19 06:20;Account;Receive;Received Payment 4.15 USD from account U18239382 to account U1294000. Batch: 254673030. Memo: API Payment. Withdraw to allhyips from FINORION. 07.04.19 17:33;Account;Receive;Received Payment 46.25 USD from account U18239382 to account U1294000. Batch: 254738641. Memo: API Payment. Withdraw to allhyips from FINORION. 08.04.19 06:38;Account;Receive;Received Payment 52.6 USD from account U18239382 to account U1294000. Batch: 254794694. Memo: API Payment. Withdraw to allhyips from FINORION. 08.04.19 06:38;Account;Receive;Received Payment 45.1 USD from account U18239382 to account U1294000. Batch: 254794683. Memo: API Payment. Withdraw to allhyips from FINORION. The amount of 15.6 USD has been deposited to your account. Accounts: U18239382->U1606***. Memo: API Payment. Withdraw to Guten from FINORION.. Date: 19:00 08.04.19. Batch: 254911374. 09.04.19 03:33;Account;Receive;Received Payment 3.75 USD from account U18239382 to account U1294000. Batch: 254942499. Memo: API Payment. Withdraw to allhyips from FINORION. 09.04.19 17:36;Account;Receive;Received Payment 72.6 USD from account U18239382 to account U1294000. Batch: 255064616. Memo: API Payment. Withdraw to allhyips from FINORION. 09.04.19 17:36;Account;Receive;Received Payment 20.00 USD from account U18239382 to account U1294000. Batch: 255064585. Memo: API Payment. Withdraw to allhyips from FINORION. 09.04.19 17:36;Account;Receive;Received Payment 13.63 USD from account U18239382 to account U1294000. Batch: 255064527. Memo: API Payment. Withdraw to allhyips from FINORION. The amount of 52.5 USD has been deposited to your account. Accounts: U18239382->U14648100. Memo: API Payment. Withdraw to hyipindustry from FINORION.. Date: 05:11 10.04.19. Batch: 255116693. The amount of 52 USD has been deposited to your account. Accounts: U18239382->U14648100. Memo: API Payment. Withdraw to hyipindustry from FINORION.. Date: 05:11 10.04.19. Batch: 255116719. The amount of 7.5 USD has been deposited to your account. Accounts: U18239382->U14648100. Memo: API Payment. 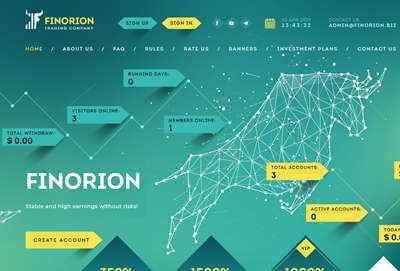 Withdraw to hyipindustry from FINORION.. Date: 05:11 10.04.19. Batch: 255116646. The amount of 2.75 USD has been deposited to your account. Accounts: U18239382->U14648100. Memo: API Payment. Withdraw to hyipindustry from FINORION.. Date: 05:11 10.04.19. Batch: 255116665. Лучшый инвестиционный чат в Telegram. 10.04.19 05:11;Account;Receive;Received Payment 37.45 USD from account U18239382 to account U1294000. Batch: 255116727. Memo: API Payment. Withdraw to allhyips from FINORION. 10.04.19 05:11;Account;Receive;Received Payment 5.82 USD from account U18239382 to account U1294000. Batch: 255116701. Memo: API Payment. Withdraw to allhyips from FINORION. 10.04.19 05:11;Account;Receive;Received Payment 6.25 USD from account U18239382 to account U1294000. Batch: 255116653. Memo: API Payment. Withdraw to allhyips from FINORION. 10.04.19 19:38;Account;Receive;Received Payment 41.1 USD from account U18239382 to account U1294000. Batch: 255245279. Memo: API Payment. Withdraw to allhyips from FINORION. 10.04.19 19:37;Account;Receive;Received Payment 4.75 USD from account U18239382 to account U1294000. Batch: 255245193. Memo: API Payment. Withdraw to allhyips from FINORION. 11.04.19 06:59;Account;Receive;Received Payment 58.5 USD from account U18239382 to account U1294000. Batch: 255289698. Memo: API Payment. Withdraw to allhyips from FINORION. 11.04.19 06:59;Account;Receive;Received Payment 6.00 USD from account U18239382 to account U1294000. Batch: 255289648. Memo: API Payment. Withdraw to allhyips from FINORION.